The story’s protagonist, Barnabus, is a fallen angel in possession of a trinket that Satan is trying to recover. He is stuck between Heaven and Hell, doing the bidding of an angel named Jules while being chased by demons. 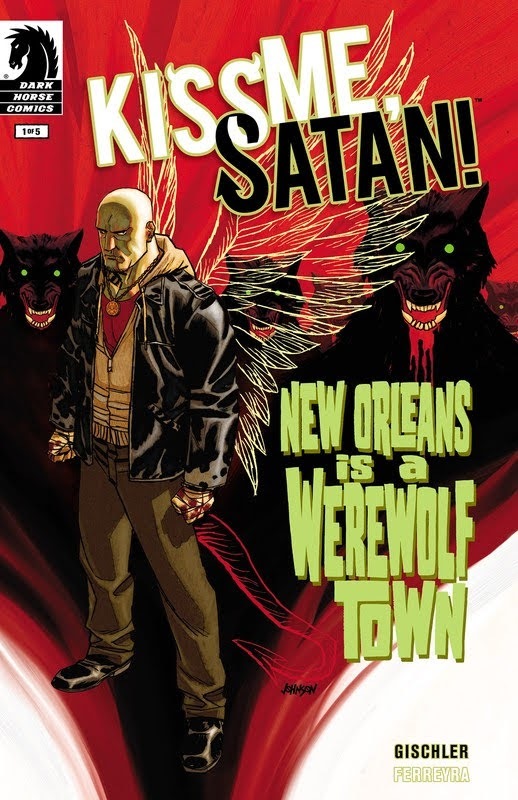 His assignment received in issue #1 is to help a vampire seer named Verona escape from a werewolf (lycan) pack headed by Cassian Steele, who you figure out from the newspaper on page one is a mafia boss in New Orleans of some sort.